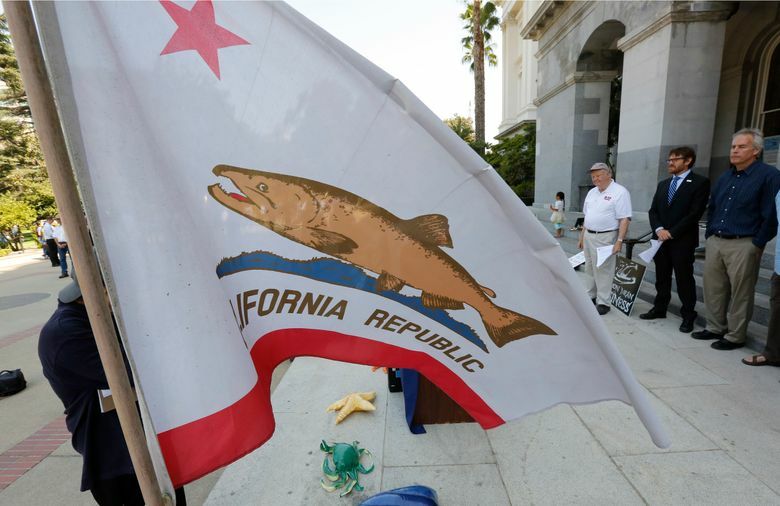 SACRAMENTO, Calif. (AP) — Hundreds of California farmers rallied at the Capitol on Monday to protest state water officials’ proposal to increase water flows in a major California river, a move state and federal politicians called an overreach of power that would mean less water for farms in the Central Valley. 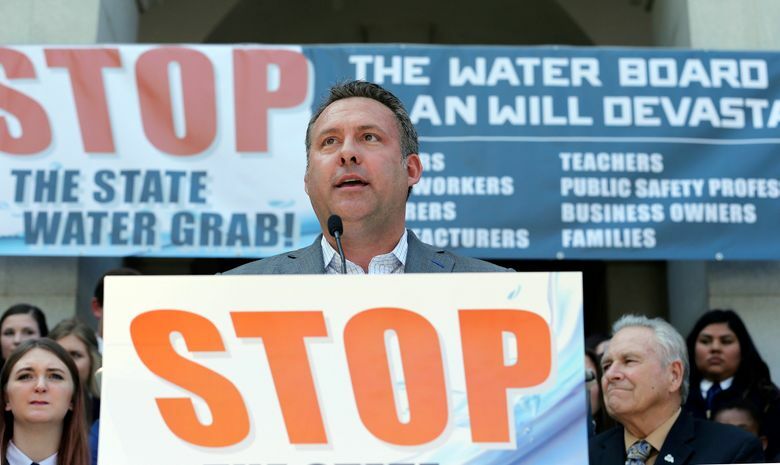 The charged rhetoric came a day before the California State Water Resources Control Board was set to discuss its proposal to change water flows in the Sacramento-San Joaquin River Delta, which supplies water for the majority of California’s people and massive swaths of farmland. The plan would double the amount of water that must flow freely through the Low San Joaquin River and three of its tributaries from February to June, meaning less water can be diverted for farming or other needs. 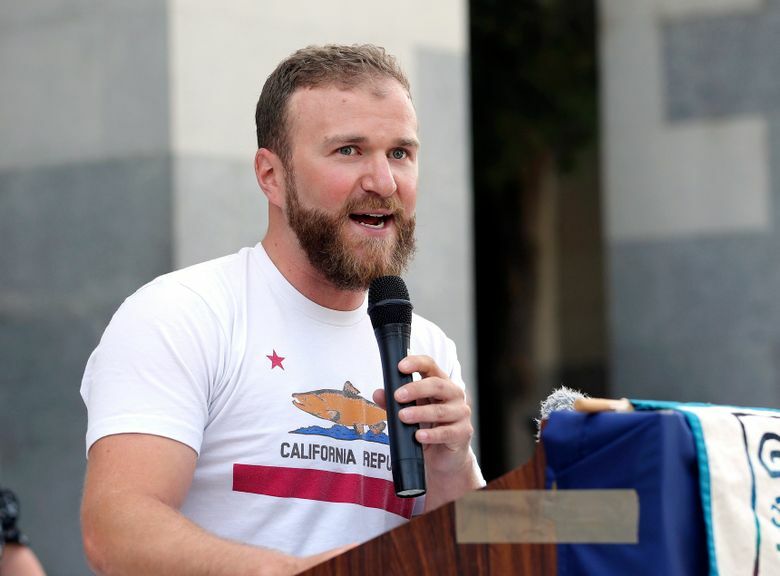 It’s an effort to protect the state’s declining salmon population; the state estimates just 10,000 fall-run salmon returned to the San Joaquin Basin in 2017, compared to 70,000 in 1985. The change is an attempt to mimic natural water flows that help the salmon thrive. The Trump administration has also weighed in. Interior Secretary Ryan Zinke called it a “water grab” that would “cripple the Central Valley’s economy, farms and community,” after visiting the region with Republican U.S. Rep. Jeff Denham in July. He urged the state water board to delay its vote. Increasing flows would harm the federally-managed Central Valley Project’s ability to move and store water through its network of dams and reservoirs, Zinke has argued. 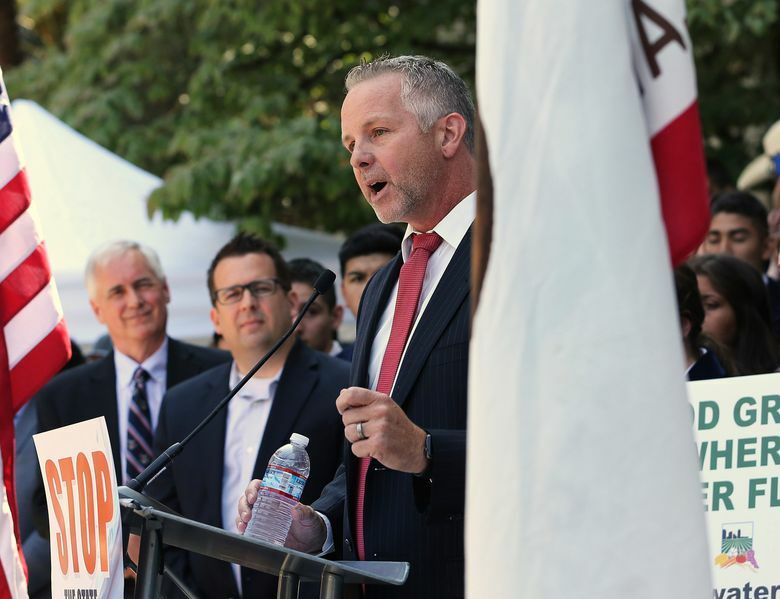 On Friday he tasked his staff with developing a plan to help maximize water deliveries, construct new water storage and reassess legal interpretations around California’s water management. 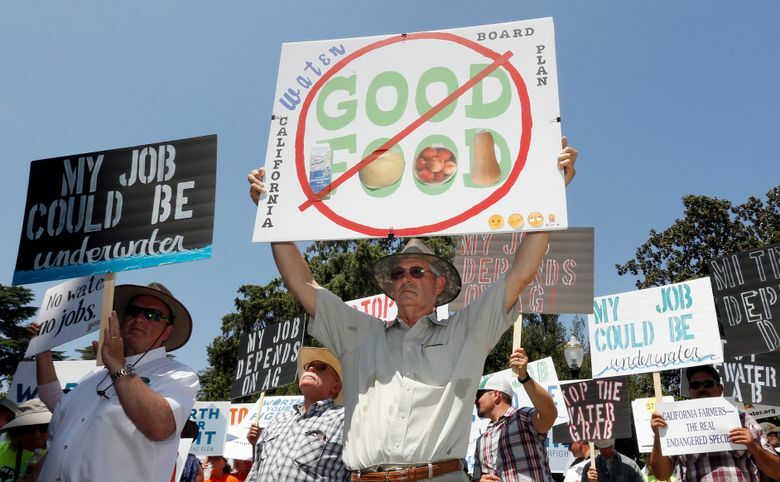 Several farmers at the Capitol rally said the water board’s move would hurt their businesses. 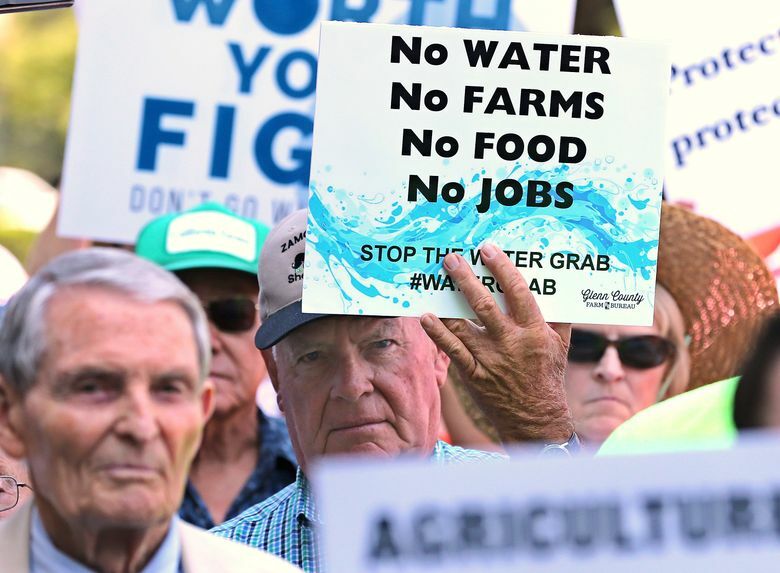 “They want to control every drop of water in the state of California,” said Harry Holland, a rancher in Browns Valley, an unincorporated community north of Sacramento. This story has been corrected to show that the rancher’s name is Harry, not Henry, Holland.